#13PP TEE WITH U.P. 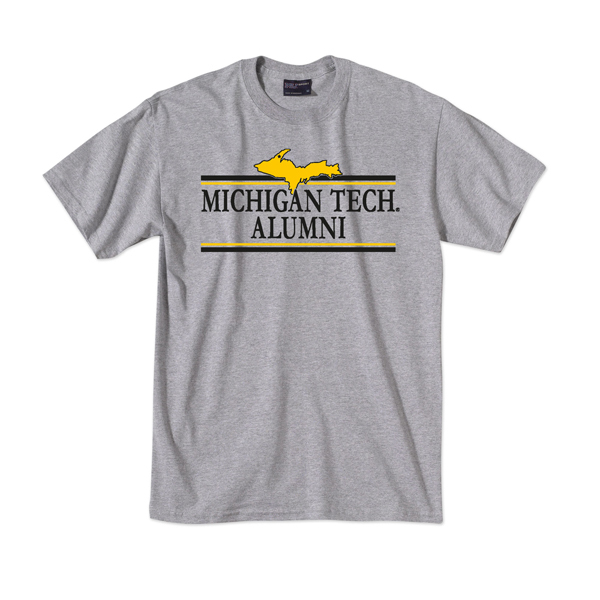 OVER MICHIGAN TECH ALUMNI FROM MV SPORT. MADE WITH PRESHRUNK 90% COTTON AND 10% POLYESTER. MACHINE WASH WARM AND MEDIUM TUMBLE DRY.